Consider the Anchorage Chamber staff a resource that comes with your membership. Discover ways to get involved, connect with other Anchorage business professionals, and ultimately maximize your membership. 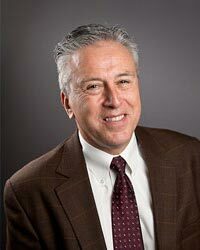 Bruce Bustamante is the President of the Anchorage Chamber of Commerce and has lived and worked in Anchorage for over 25 years. He graduated from the University of Alaska Anchorage with a Bachelor's degree in Business Administration. Previously, Bruce was vice president of Community and Public Affairs for Princess Cruises where he served for eight years. Prior to that, Bruce was president and CEO of the Anchorage Convention & Visitors Bureau, now known as Visit Anchorage, where he served in that capacity for seven years. During that time, Bruce was directly involved with two campaigns to build a new convention center in Anchorage, which passed voter approval in 2005. Bruce also worked for Alaska Airlines as Regional Sales Director where he managed three sales offices in Alaska from 1992-2000. Bruce worked for Alaska Airlines for 17 years and lived and worked in Seattle, Tucson, and Los Angeles before moving to Alaska. Tosha graduated from the University of Alaska Anchorage in 2007 with a Bachelor's Degree in Journalism and Public Communications. In 2019, she completed a Bachelor of Science Degree Program in Graphic Design from Full Sail University. She coordinates the "Make it Monday" forums, which are weekly forums focused on policy debates and initiatives, resource development updates, and innovative commerce discussions in Alaska. She is also the Young Professionals Group Director and is involved in membership communication and more. Tabitha joined the Anchorage Chamber in 2016 as membership sales coordinator and was promoted to membership sales manager in 2017. 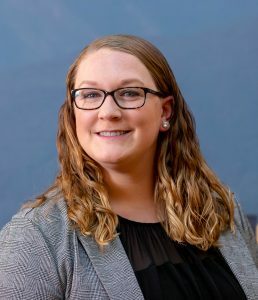 Prior to joining the Anchorage Chamber she worked in the financial services industry and human resources in a variety of positions such as: member services representative, financial services representative, employment services specialist, and benefits specialist. Tabitha currently serves as Anchorage Chamber liaison to the Membership Committee, Business Development Committee, and Ambassador Council. She sits on the board of the Anchorage Library Foundation and School Business Partnership program. She was also recently recognized by Food Bank of Alaska as a Hunger Action Hero. Tabitha is proud to be a lifelong Alaskan. She enjoys spending time with her husband, two children, and large extended family doing all things Alaskan: fishing, camping, hiking, and berry picking. She loves living in Anchorage and in her free time enjoys: reading, gardening, volunteering, going to concerts, and dining at Anchorage’s great restaurants with friends and family. Aubrie graduated from the University of Alaska Anchorage in December 2016 with a Bachelor’s Degree in Business Management. She completed an internship with the Anchorage Downtown Partnership before joining the Anchorage Chamber of Commerce in January 2017. After a year and a half as the Chamber's Administrative Assistant, she was promoted to Events Coordinator. She oversees the Anchorage Chamber's large events including the Gold Pan Awards, Military Appreciation Week, Citywide Cleanup, and more. Aubrie is also the staff liaison to the Military and Legislative Committees. Kaylin joins the Anchorage Chamber from Buzzbizz Creative where she worked as a Marketing Account Coordinator and most recently as a Digital Marketing Specialist. Kaylin will work in the areas of event support, sales support and will assist in communications and social media messaging. A graduate of Grace Christian School in Anchorage, Kaylin is pursuing a degree in Business Administration /Marketing from the University of Alaska Anchorage.